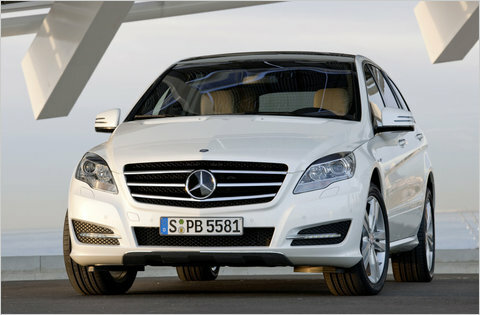 The refreshed 2011 Mercedes-Benz R-Class gets an E-Class nose job. What is it? A hurried midcycle freshening of some of the more unfortunate aspects of the Mercedes-Benz R-Class “sports tourer.” Help couldn’t come soon enough. And apparently more than a “freshening” was needed for this styling bomb.